Code of Virginia is the fully annotated official Virginia code including statutes, Rules of the Supreme Court, and cumulative supplements. 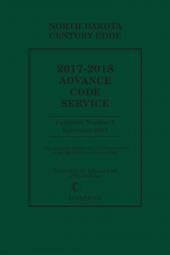 The Advance Code Service is published three times a year, providing annotations to the most current case law. The fully annotated Virginia Rules Annotated is available separately in one convenient softbound volume at an affordable price. LexisNexis also publishes a Virginia Advance Legislative Service (ALS) at an affordable price. The ALS gives you the latest session laws as they are passed, along with handy tables showing you what sections of the code are affected. TITLE 2. Administration of the Government Generally [Repealed]. TITLE 2.1. Administration of the Government Generally [Repealed]. TITLE 3. Agriculture, Horticulture and Food [Repealed]. TITLE 3.1. Agriculture, Horticulture and Food [Repealed]. TITLE 3.2. Agriculture, Animal Care and Food. TITLE 4. Alcoholic Beverages and Industrial Alcohol [Repealed]. TITLE 4.1. Alcoholic Beverage Control Act. TITLE 6. Banking and Finance. TITLE 6.1. Banking and Finance. TITLE 6.2. Financial Institutions and Services. TITLE 7. Boundaries, Jurisdiction and Emblems of the Commonwealth [Repealed]. TITLE 7.1. Boundaries, Jurisdiction and Emblems of the Commonwealth [Repealed]. TITLE 8. Civil Remedies and Procedure; Evidence Generally [Repealed]. TITLE 8.1. 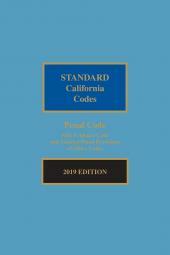 Commercial Code - General Provisions [Repealed]. TITLE 8.1A. Uniform Commercial Code - General Provisions. TITLE 8.2. Commercial Code - Sales. TITLE 8.2A. Commercial Code - Leases. TITLE 8.3. Commercial Code - Commercial Paper [Repealed]. TITLE 8.3A. Commercial Code - Negotiable Instruments. TITLE 8.4. Commercial Code - Bank Deposits and Collections. TITLE 8.4A. Commercial Code - Funds Transfers. TITLE 8.5. Commercial Code - Letters Of Credit [Repealed]. TITLE 8.5A. Commercial Code - Letters Of Credit. TITLE 8.6. Commercial Code - Bulk Transfers [Repealed]. TITLE 8.6A. Commercial Code - Bulk Sales [Repealed]. TITLE 8.7. Commercial Code - Warehouse Receipts, Bills of Lading and Other Documents of Title. TITLE 8.8. Commercial Code - Investment Securities [Repealed]. TITLE 8.8A. Commercial Code - Investment Securities. TITLE 8.9. Commercial Code - Secured Transactions; Sales Of Accounts, Contract Rights And Chattel Paper [Repealed]. TITLE 8.9A. Commercial Code - Secured Transactions. TITLE 8.10. Commercial Code - Effective Date - Transitional Provisions. TITLE 8.11. 1973 Amendatory Act - Effective Date and Transition Provisions. TITLE 9. Commissions, Boards and Institutions Generally [Repealed]. TITLE 9.1. Commonwealth Public Safety. TITLE 10. Conservation Generally [Repealed]. TITLE 12. Corporation Commission [Repealed]. TITLE 12.1. State Corporation Commission. TITLE 13. Corporations Generally [Repealed]. 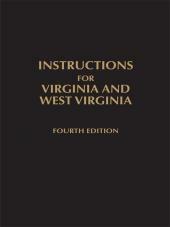 TITLE 14. Costs, Fees, Salaries and Allowances [Repealed]. TITLE 14.1. Costs, Fees, Salaries and Allowances [Repealed]. TITLE 15. Counties, Cities and Towns [Repealed]. TITLE 15.1. Counties, Cities and Towns [Repealed]. TITLE 16. Courts Not of Record [Repealed]. TITLE 16.1. Courts Not of Record. TITLE 17. Courts of Record [Repealed]. TITLE 17.1. Courts of Record. TITLE 18. Crimes and Offenses Generally [Repealed]. TITLE 18.1. Crimes and Offenses Generally [Repealed]. TITLE 19. Criminal Procedure [Repealed]. TITLE 19.1. Criminal Procedure [Repealed]. TITLE 21. Drainage, Soil Conservation, Sanitation and Public Facilities Districts. TITLE 29. Game, Inland Fisheries and Dogs [Repealed]. TITLE 29.1. Game, Inland Fisheries and Boating. TITLE 31. Guardian and Ward. TITLE 33. Highways, Bridges and Ferries [Repealed]. TITLE 33.1. Highways, Bridges and Ferries [Repealed]. TITLE 33.2. Highways and Other Surface Transportation Systems. TITLE 34. Homestead and Other Exemptions. TITLE 35. Hotels, Restaurants and Camps [Repealed]. TITLE 35.1. Hotels, Restaurants, Summer Camps, and Campgrounds. TITLE 37. Insane, Epileptic, Feeble-Minded and Inebriate Persons [Repealed]. TITLE 37.1. Institutions for the Mentally Ill; Mental Health Generally [Repealed]. TITLE 37.2. Behavioral Health and Developmental Services. TITLE 39. Justices of the Peace [Repealed]. TITLE 39.1. Justices of the Peace [Repealed]. TITLE 40. Labor and Employment [Repealed]. TITLE 40.1. Labor and Employment. TITLE 41. Land Office [Repealed]. TITLE 43. Mechanics' and Certain Other Liens. TITLE 44. Military and Emergency Laws. TITLE 45. Mines and Mining [Repealed]. TITLE 45.1. Mines and Mining. TITLE 46. Motor Vehicles [Repealed]. TITLE 46.1. Motor Vehicles [Repealed]. TITLE 47. Notaries and Out-of-State Commissioners [Repealed]. TITLE 47.1. Notaries and Out-of-State Commissioners. TITLE 49. Oaths, Affirmations and Bonds. TITLE 51. Pensions and Retirement [Repealed]. TITLE 51.01. Persons With Disabilities [Repealed]. TITLE 51.1. Pensions, Benefits, and Retirement. TITLE 51.5. Persons With Disabilities. TITLE 53. Prisons and Other Methods of Correction [Repealed]. TITLE 53.1. Prisons and Other Methods of Correction. TITLE 54. Professions and Occupations [Repealed]. TITLE 54.1. Professions and Occupations. TITLE 55. Property and Conveyances. TITLE 56. Public Service Companies. TITLE 57. Religious and Charitable Matters; Cemeteries. TITLE 59. Trade and Commerce [Repealed]. TITLE 59.1. Trade and Commerce. TITLE 60. Unemployment Compensation [Repealed]. TITLE 60.1. Unemployment Compensation [Repealed]. TITLE 61. Warehouses, Cold Storage and Refrigerated Locker Plants [Repealed]. TITLE 61.1. Warehouses, Cold Storage and Refrigerated Locker Plants. TITLE 62. Waters of the State, Ports and Harbors [Repealed]. TITLE 62.1. Waters State, Ports and Harbors. TITLE 63.1. Welfare (Social Services) [Repealed]. TITLE 63.2. Welfare (Social Services). TITLE 64. Wills and Decedents' Estates [Repealed]. TITLE 64.1. Wills and Decedents' Estates [Repealed]. TITLE 64.2. Wills, Trusts, and Fiduciaries.